You are here: Home > Plain talk about quantum theory: It has no place for space and that’s a problem. Quantum physics is in trouble. It needs a new strategy. Physics is mostly based around quantum theory. When physics gets in trouble it affects everyone. Physics is the fountain from which our economy springs. Quantum theory seems so esoteric many think they cannot go there. Yet at heart the problem and the opportunity to fix it can be discussed in plain language. So here goes. Quantum theory works because its math describes what we can observe about the tiny particles that make up atoms. That is, it describes what we observe on average. That’s all the explanation quantum theory has to offer. If you cut through its mumbo jumbo, you find why quantum theory works is as much a mystery as it was a century ago when physicists first stumbled on it. Here’s an analogy: Hundreds of years ago, physicists studied gases. They found math that described gas properties they could observe: volume, pressure and temperature. This math too had both its uses and its mumbo jumbo: For example, a breakthrough paper by French physicist Sadi Carnot in 1824 was titled Reflections on the Motive Power of Fire. Why that math worked remained a mystery until invisible constituents of gases were discovered: molecules—made of atoms far too small to see—that ricochet like tiny billiard balls off the container walls. In other words, gas pressure is caused by gazillions of molecules knocking on the walls; hotter molecules go faster and so exert more pressure. This insight (first demonstrated by Albert Einstein, before he turned his mind to quantum theory) not only laid a firm foundation for thermodynamics and machines that extract work from heat, it also set physics on the path to study even smaller things we can’t see: subatomic particles. One way to view physics is it studies how things behave in terms of smaller things. Like thermodynamics did back then, quantum theory is now struggling to identify those smaller things. After a century of searching, all physics can say is matter and energy are made up of a long list of subatomic particles whose makeup and behavior are as mysterious as ever. This list—the Standard Model—is based on quantum theory. That this is still mysterious should not surprise us. Impressive though the list may be, it leaves out space. Indeed, quantum theory treats it as nothing. We now know that, far from being nothing, space is the most massive thing in the universe. Having no place for space is a serious omission. Quantum theory is set in space. It treats space like a rock group treats a stage. Like the band and its instruments, the so-called fundamental particles that make an atom are arranged in space. Like the stage, space is needed but neglected (unless it collapses). The heart of the problem is quantum theory has no place for space; but it now turns out that space is not only most of everything, it runs the whole show. How can physics solve its problem without ditching the quantum theory that is so successful most everyone carries a quantum device in their hands much of the day? The obvious solution is a quantum theory of space. There are ongoing efforts to achieve this. Many of them are hampered by failure to take seriously the question: What is a quantum of space? String theory is the largest of these efforts. It almost but not quite addresses this question. 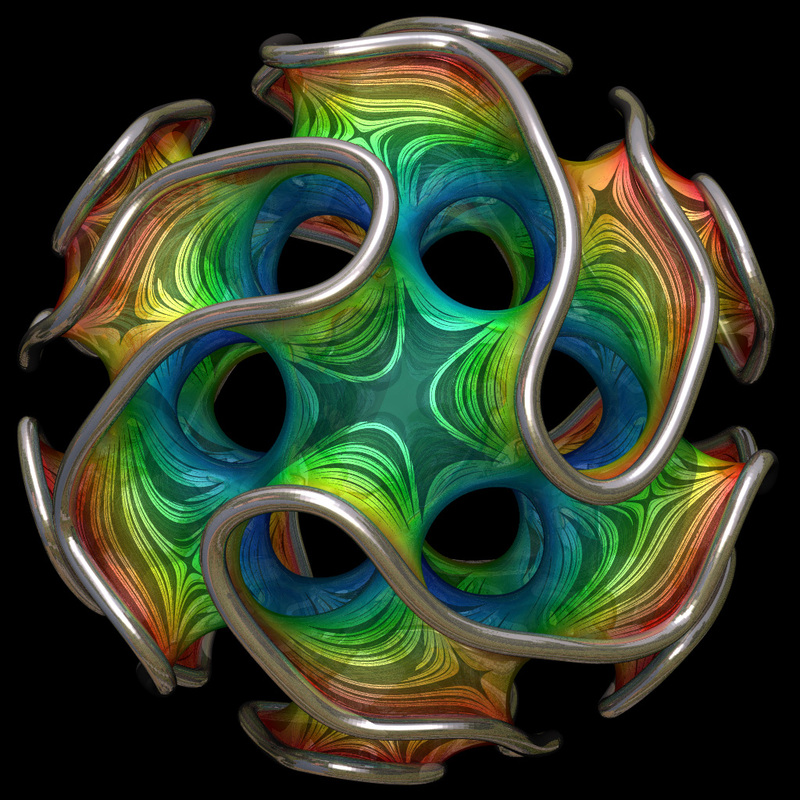 Its almost-answer: The smallest piece of space is a Planck-sized six-dimensioned volume called a Calabi-Yau manifold. The best strategy for physics is to take this answer seriously. Treat this quantum (I call it a fleck) as a real entity and study it as such. Physics hesitates to go there, maybe because it means abandoning the math of continuous space (called calculus) most physicists invested years to learn. Building brand new math is difficult. But it’s the strategy physics should follow if it’s to get to the next level of smaller things. We all have an investment in that. Readers who like this might like: Planck-scale physics is in line to give a huge boost to the economy.